You sure this ain't a 'Deadpool' sequel? The highly anticipated first-ever live-action film Pokémon Detective Pikachu just dropped its first official trailer and even non-fans are hyped. It's centered on 21-year-old Tim's (played by Justice Smith of Jurassic World: Fallen Kingdom) search for his father, ace private eye Harry, who mysteriously goes missing. Harry's former Pokémon partner Detective Pikachu (voiced by Ryan Reynolds)—"a hilariously wise-cracking, adorable super-sleuth who is a puzzlement even to himself"—helps Tim chase clues in Ryme City, where humans and Pokémon live side by side. So why is Pikachu talking...again? Fans heard the franchise mascot speak for the first time in last year's Pokémon: I Choose You! movie, and it was met with a collective sigh of confusion. The latest version is basically Team Rocket's Meowth in Pikachu's body. We're no sold yet, but hearing the electric mouse utter anything other than the usual "pika pika" will always be weird. Where the hell is Ash and everyone else? Based on the plot alone, it's safe to assume that there will be no Professor Oak and Brock in the movie. Still, it would be interesting to spot a couple of references to the TV series widely considered as canon (Nurse Joy, please?). If anything, the protagonist's backstory draws similarities to Officer Jenny's. When did Pokémon become mostly furries? As expected, the CGI pocket monsters look hyper-realistic. From the adorable starter Pokémon Bulbasaur, Squirtle, and Charmander, to the nightmare-inducing animations of Mr. Mime and Charizard, the rendering will make you think twice about wishing for them to be real. But since when did Pikachu and Jigglypuff become furries? Will Pikachu even use Thunderbolt? Tell us you didn't dream about Charizard firing off a Flamethrower, Greninja throwing a Water Shuriken, Mr. Mime actually miming a Barrier, or Psyduck getting triggered to use Confusion. Imagine how cool it would be for the other fictional characters and their moves to be depicted on-screen. You sure this ain't a Deadpool sequel? As much as we love Reynolds' work as the Merc with a Mouth, we don't fancy the idea of wasting two hours watching Pikachu break the fourth wall and electrocute enemies to death—in gory fashion. 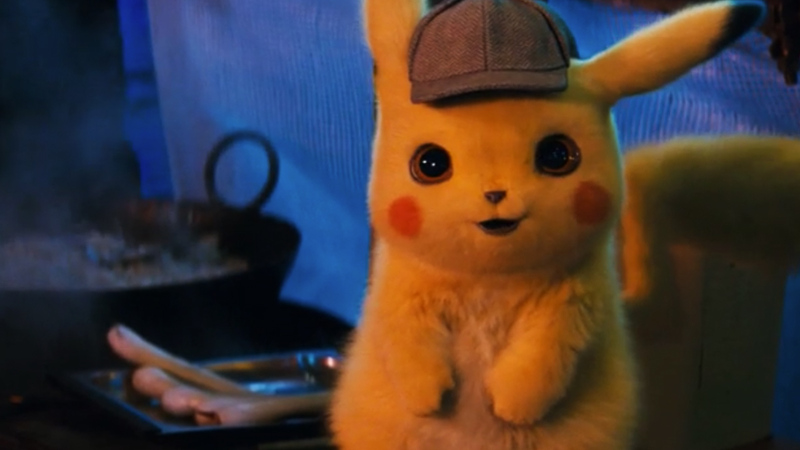 The beloved creature may be channeling Sherlock Holmes, but fans will flock to theaters to see more of Pokémon's action, adventure, and fantasy elements.